The standard of dress and general appearance will at all times determine the entitlement of members, their guests and visitors to use the facilities of the clubhouse and course and will be consistent with the dignity of the club. Smart recognised golf apparel must be worn at all times. Caps: – All caps should be worn with the peak at the front. Shirts: – Golf shirts must have collars, with either long or short sleeves (round/crew neck golf shirts are acceptable). Shirts must be tucked into trousers or shorts at all times. Rugby/football shirts are prohibited, as are shirts carrying logos, slogans, numbers or illustrations on apparel that are not golf related. Trousers: – Must be tailored and appropriate for golf. All types or colour of denim, paramilitary or camouflage style trousers, combat trousers (multiple pockets), cut-offs or tracksuits are strictly prohibited. Shorts: – Shorts to be tailored or of appropriate golf attire. Socks: – Shorts must be worn with socks, which, if long (to the knee) must be of a single plain colour. Short socks must be predominantly white in colour. Training shoe socks are permitted. Shoes: – Only shoes designed for the purpose of playing golf are permitted. Shirts: – Collarless shirts/tops must have sleeves. Sleeveless shirts/tops must have collars and must have a modest neck line. Shirts worn outside must be designed for that purpose and at hip length. Halter neck tops and tank tops are not permitted. Skirts: – Golf skirts/culottes are permitted. Mobile phones should be switched off or on silent. Please repair pitch marks, rake bunkers and replace divots. Please use the divot mix on par 3 holes to repair divots. No trolleys or buggies on tees, fringes or between greenside bunkers and green. Avoid slow play at all times. Keep pace with the game in front. Respect other golfers and allow games through if yours is causing delay. The use of mobile phones in the clubhouse bar and lounge is prohibited. Please use the rear foyer, cloakroom or outside. Smart casual dress is essential. Please change from working clothes if these risk transgressing our dress code. Shirts to be tucked in at all times. Shirts designed to be worn outside the trousers may be worn in the clubhouse only on a designated Club function. Shorts to be tailored or of appropriate golf attire, socks with shorts to be predominantly white (ankle socks allowed). Clean washed jeans with no rips are allowed. Sandals and flip flops may be worn in the clubhouse with shorts or skirts (socks are not required to be worn). Trainers may be worn in the Clubhouse. Crocs are not allowed. No hats to be worn in clubhouse. Outdoor clothing, waterproofs or wind proofs must be hung in the cloakroom areas or left in the locker rooms. If you smoke please use only the designated area between the clubhouse and locker rooms or the balcony outside the clubhouse. Please dispose of smoking debris in the receptacles provided. 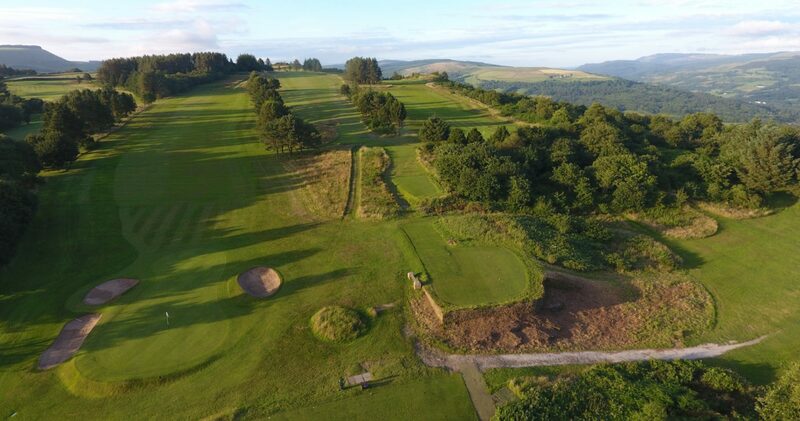 The General Committee of Neath Golf Club thank you for your assistance in maintaining these standards.